Legendary seems to be the earliest level cap that equips players with everything they need to succeed and have fun. Legendary players are able to enchant their hits and heals efficiently via gargantuan and keen eyes, and they are capable of acquiring a variety of stats. Top level PvP is becoming increasingly monotonous, and most players are seen wearing near identical gear and playing nearly the same ways as everyone else. At legendary, more experimentation is not only possible, but feasible and a seemingly mad experiment can lead to incredibly successful play. 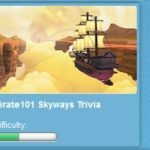 During this guide, I hope to take you on an exploration of PvP in ways that you may have not yet considered. Hopefully, this guide can be used as a tool not just for legendary balance wizards, but for everyone. So, let’s hop right into it! 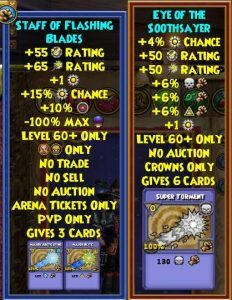 Really, any wand with good block will do well before reaching warlord. However, I would advise that you acquire the Staff of Flashing Blades ASAP. 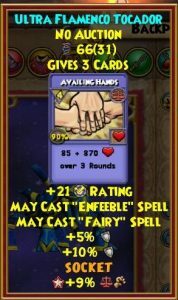 The best healing boost ring available to a legendary wizard. 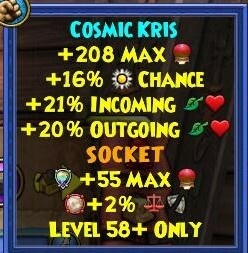 More on healing boost later! 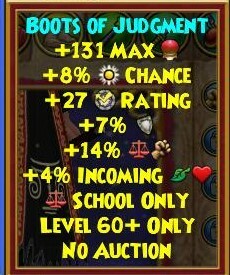 Again, the best healing boost athame available to a legendary wizard. 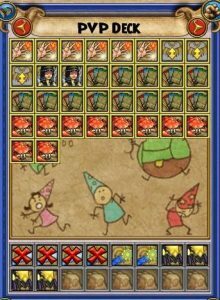 This deck, which is optimal, is dropped from the Stone Key boss in The House of Scales dungeon. However, it can be substituted with the deck received from the Zafaria vendor in Stone Town. Any pet will spell proof is usable, however, certain talents are desirable. Enfeeble is incredibly useful vs opponents fond of blade stacking. May cast infallible can help you become an efficiency monster. 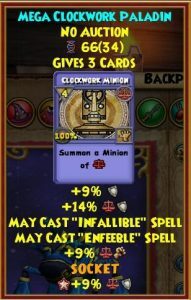 I would also highly recommend a clockwork paladin pet, as that minion can prove invaluable. However, I personally know the ails of pet making, so don’t fret if your pet is less than perfect. You can compensate with superior play. 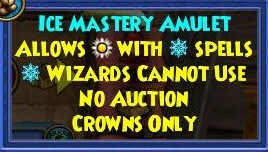 An Ice Mastery Amulet?! Yes, to many this may be a surprise. To many others, this may bring back old memories. 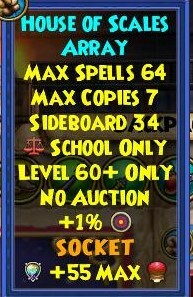 I will discuss the utilities of this amulet more in the Deck Analysis. One of the largest flaws with balance in this highly aggressive meta is its lack of a spike heal, such as satyr or sacrifice. It is not uncommon to face a critical hit and be brought down to dangerously low health, where an availing simply can’t cut it. In that event, I utilize the sap health card, which heals for about 1000. The hydra is in the deck not for multiplication, but rather to be used as a finisher to the poor soul who fails to shield to elemental schools. Fire elf is used to clear layers of tower shields. The keen eyes can be used to multiply availing hands or weaknesses, depending upon the scenario. More on general deck analysis later! The side deck is fairly straight forward. 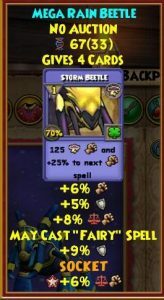 There are lots of shuffles so that they can be used frequently, and the scorpions are primarily for killing your opponent’s minions. Out of this entire guide, this section is perhaps the most theoretical and thought heavy. I will try my hardest to not ramble on, and to stick to the topic at hand. Many times, I will play in ways that most people consider odd, or simply bad, but I know in my own head that I am winning. Once, a friend of mine asked why I was playing the way I was, and I answered with “I am approaching this as t approaches infinity.” Or, more clearly, I am playing for bettering my position, and ensuring that eventually, I will win, rather than trying to be tactically offensive or defensive. 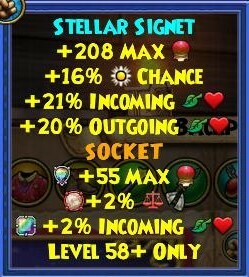 This is the primary reason I use heal boost as opposed to damage. I approach PvP in terms of rates. If the rate of my potential damage output exceeds the rate of my opponent’s potential healing output, then I will eventually win. 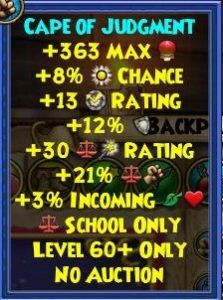 Using a damage ring and athame will only increase the damage done by a little bit, while using the heal boost ring and athame will increase your healing rate by over 100%. (1.5)(1.4)=2.1 So, I know that my opponent, who typically utilizes a high damage set up, but with low heal boost, will ultimately lose. My heals will do more than their hits, and with infections, my hits will do more than their heals. That is the beauty of heal boost. Eventually, you shall win. Primarily, people think that high heal boost is indicative of defensive play, but I view it as the opposite. 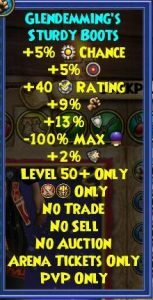 By utilizing higher heal boost, I can disregard infections, typically, and I can hit more, as my heals will be doing more, so I will need to heal less. Because of this, I often end up playing rather aggressively, but only because my stat pool gives me solid ground to charge upon. Also, many people fear hitting into shields because they will waste their pips and hitting resources, but I view that as damage gained. I know that the majority of the time, I am multiplying more hits than my opponent is multiplying heals. So, eventually, the amount of damage that my deck can output is simply greater than the amount that my opponent can heal, even with shields. This is the essence of “t approaches infinity” play. 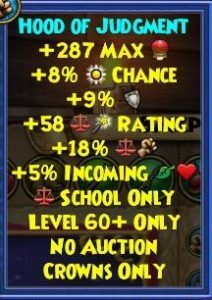 This attitude is not only useful for legendary balance PvP, but for all schools at middle level. As promised, I will elaborate upon my view of decks. A deck should never be static. Rather, a deck is in its best form when it is capable of constantly changing to adapt to the situation at hand. No deck is “perfect” for every range of opponent initially, but that doesn’t mean that it can’t be modified during the match to transcend its imperfect self. A deck should be fluid, dynamic, and precise. Also, there is a time when multiplication should eventually cease. 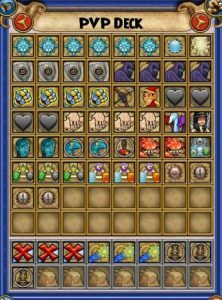 Wizard101 is a game of probability. There is a certain probability that each card will fall into each hand, and so, the higher the ratio of card to deck, the more likely the card appears. So, it is important to bear in mind ratios. The above deck is great for manipulating those ratios to follow the flow of the match. But eventually, if you multiply without thought, you may find yourself clumping. You may end up with a hand of 7 Loremasters and no pips to use them. As a result, I typically stop enchanting my loremasters before I stop enchanting my scorpions, so that I don’t have too many in my deck. At this point in your deck, you can comfortably discard those pesky gargantuans, and breath a sigh of relief as your opponent’s deck “fails” and your deck is working to its maximum capacity. Fires are simply terrifying. Their ability to completely laugh at your shields can make them formidable adversaries. Also, fire gained a significant advantage in the form of the spell, Burning Rampage. Most fires with the spell will simply try to OHKO you as fast as possible via a critical burning rampage. Vs these hyper aggressive foes, I recommend utilizing those nifty triages in your side deck! Burning Rampage can be countered via triage. However, be warned. From second, it will take incredibly precise predicting prowess to accurately nullify a burning rampage. Some universal tips for fighting fires. Do not, ever, under any circumstance, allow their minion to live. He will consistently leave you wide open for a variety of devastating attacks. Also, be aware of the fact that although a fire can take off shields easily, it is no reason to never shield at all. Efreet is a vicious spell, and it can easily be the last spell you see before your head spins. If you suspect an Efreet, it may be a good idea to shield. However, shielding can be useful as a way to delay their use of Efreet. If you have a shield on, they are likely to not know of t approaching infinity, and they will most likely wait until your shield is removed to use the efreet, regardless of context. 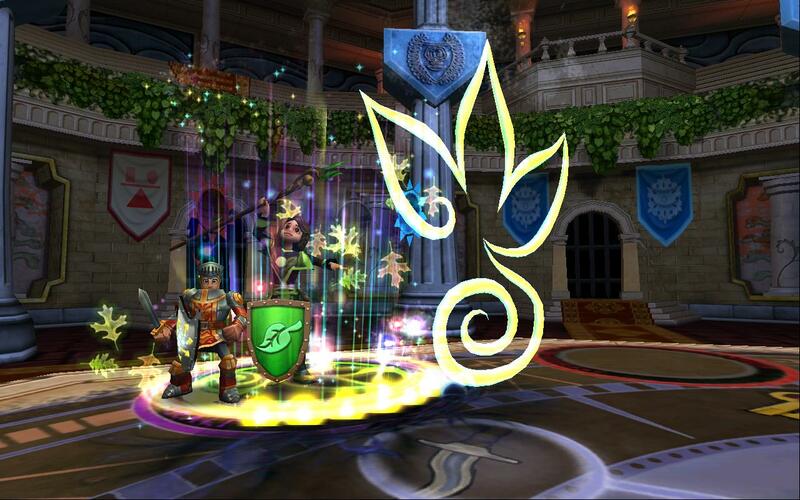 Loremaster will be your best friend in these matches, as she is a good chance to match a fire’s sheer efficiency. Do not let Wyldfire stay up, use balefrost. Ice wizards are notoriously tanky. They are very good at taking damage and spitting it back out. Do not ever underestimate an ice’s ability to hit high and hit hard. Unfortunately, we do not have a bubble to change Balefrost, but do not fret. Simply take the opportunity to shield fast and shield hard. A Frostbite may seem deadly, but it only hits 4 times. By using minions, it is very likely that you will have more than 4 shields on at a given time. Cloak those elemental shields and infections, and cloak them hard. Slowly grind down their health via scorpions and loremasters until you ultimately see an open hit. If you are first, I recommend using the following combo if you think they are in need of healing. Ice dispel, feint, judge. They will hopefully not remove the ice dispel, and will instead heal through an infection. Ices should not be of much concern. You are fully equipped to take them out. Also, frequently, Ices will kill your minions, which you should keep up constantly, with a snow angel. In this event, the minion is likely to live for the first hit of the angel. It is always fun to sap health from the already dead minion, especially when you are on the low side. Myth wizards are the combo kings. Against these wizards, it is very important to find stun blocks fast to avoid a nasty medusa or basilisk combo. If they are high enough level, they may use Talos, which can be an inconvenience, but a lore or 2 scorpions will take him out. I do not recommend letting him live, regardless of how annoying he may be to kill. Make sure to keep these guys swimming in weaknesses and infections, and begin the slow grind. Ultimately, they will find themselves spamming heals and shields as you assault them with your lore/scorpion battery. These guys are great opponents to utilize your ice dispel, feint, judge combo against, as they are unlikely to be in jade or have exceptionally high health. While against a myth, it is important to recognize their potential pressure. It is not hard for them to shatter and get rid of all of your hard work, so make sure to always be prepared. If it seems like they will hit, it is important to shield or keep shields up in the face of Shatter. Many myths like to Basilisk into Pigs or Minotaur, so an anticipatory Availing Hands can prove very useful at nullifying their combo attempt. There are not many lifes in 1v1, unfortunately. 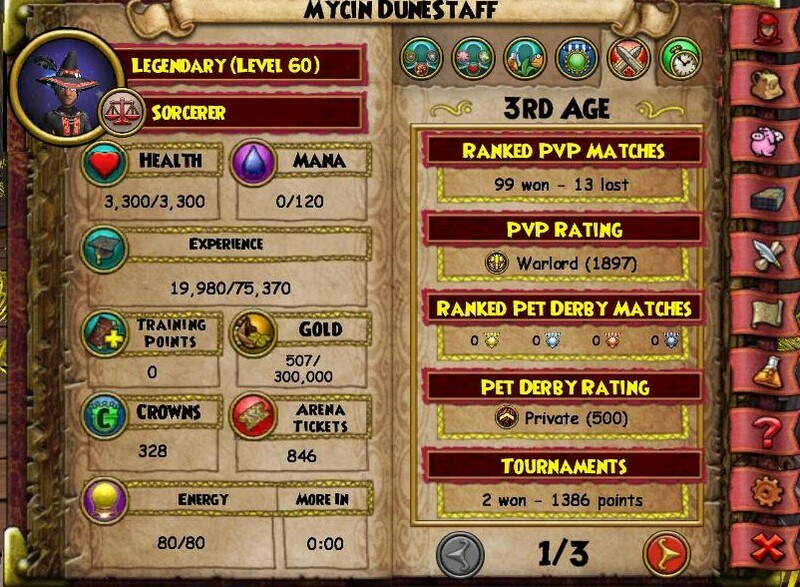 And most that do 1v1 are Grandmaster, and hit with either balance spells or myth spells. It is important to take note of their amulet, as it is largely indicative of what they may be hitting you with. Against life wizards, the multiplication of infections is key. Do not let sanctuary stay up, but rather, replace it with balefrost. Don’t assume that because your opponent is a life wizard that you will be easily able to survive. First, build up a solid defense, and then commence your assault. Leave them with two choices: Heal or hit into shields. Luckily, they are unlikely to choose the latter. In these matches, it can seem like you’re not really going anywhere. Your opponent is simply healing off all of your hits, so why bother? Well, remember, let t approach infinity! Consequently, keep up your multiplication and fight on. Eventually, and I assure you, your hits will prove too much for your opponent to heal. Death wizards can be quite the animal. Fortunately, they can also be toppled. A highly aggressive death that utilizes doom and gloom is a force to be reckoned with. However, do not fret. Calmly control the match. Multiply your shields and weaknesses, and don’t let doom and gloom stay up. Utilize triage in the face of a giant bone dragon. However, do not forget to utilize infections, as sacrifice can be a nasty heal. Against deaths, Loremaster is again the primary mode of aggression. She will be efficient at cutting them down and leaving them with not much counter play. However, never allow yourself to feel too safe against a death wizard. Stay on your toes or your head may end up spinning. Many balances do not like facing other balances. I, on the other hand, revel in it. I actually have yet to lose to a balance wizard in 1v1. 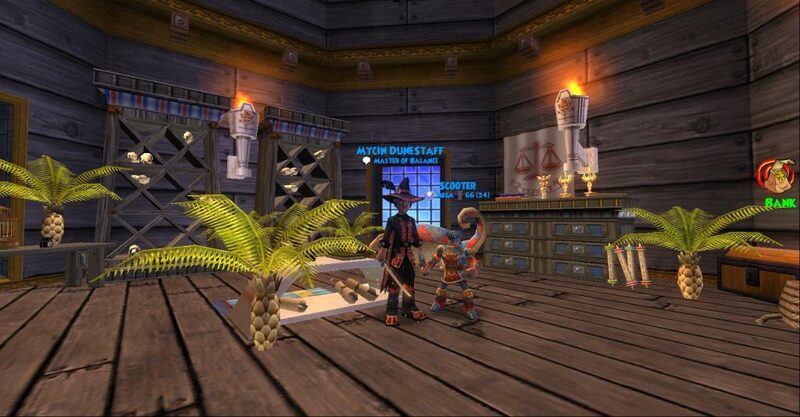 Many, many, balances these days will run high critical and damage, and will simply attempt to Loremaster you until you die, and will cross their fingers and toes for a critical. However, bear this fact in mind. Your Availing Hands will do more than a critical Loremaster, and for the same amount of pips. Also, you will be able to effectively take them down, because most don’t run high heal boost, and their heals through Infections are laughable at best. Don’t let yourself be trapped in the kill zone. Always use Availing Hands sooner rather than later. Far too many balances allow themselves to drop far too low in health before they even think of healing, and ultimately, are unable to dig themselves out of the hole that we worked together to create. Against these opponents, be patient. Wait for the correct moment to hit be aggressive. I typically like to layer them in infects before I begin seriously going for the kill, as this will leave you able to effectively take them down without having to infection in between your attacking combos. Storms will be your largest source of losses, but I think that rings true for most people. Unfortunately, due to the new critical update, there is simply not a counter to their ability to deal 4000 damage with 2 pips. Against these opponents, I typically perform hyper aggressively, and try to kill them as soon as possible. However, do not worry if you lose to a critical insane bolt. 11 of my 13 losses were to Storm wizards. 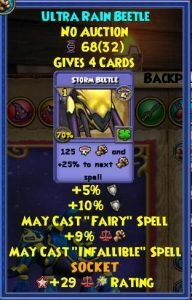 It may be seen that this build has a weakness against storms, but I would argue that every school has a weakness to insane and wild bolt. Many people are upset with the way PvP has become recently. Largely, this is due to the fact that a rng controls much of the outcomes of many matches. 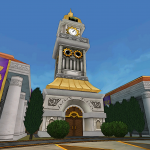 However, this guide will help you counter as much of rng as possible at legendary PvP. But, alas, it is nearly impossible to never lose. Criticals will rarely be blocked, and they will leave your head spinning. Out of all of my losses, a critical was the culprit. However, that doesn’t mean that I am going to completely hate the game because I lost due to luck. When you know you were not outplayed, but rather lost to luck, you shouldn’t feel bad. You did everything you could, you did everything right, so what’s the point in getting upset? It doesn’t help anyone. In fact, I typically just laugh at the randomness of it all. This attitude keeps me coming back, and keeps me enjoying PvP. Also, in the event you are simply outplayed, don’t take it personally. Rather, learn from what you did wrong. Really evaluate your loss and see what the exact reason you lost was, and change that in the future. PvP is a learning experience. Also, never take insults to heart. Some people will be rude to you if you lose, but rather than allow yourself to get worked up, just shrug it off and don’t talk badly back. Trash talking is a big problem, but it is not a problem that needs to inherently exist. And above all, have fun in PvP! It’s a game after all! It is, in fact, designed for fun! Don’t feel pressure, just have fun. I hope you enjoyed reading this with me.